KCET Admit Card 2019: Candidates who will submit the KCET application form and are waiting for their admit card can download it from the Karnataka Examination Authority (KEA) official website. KCET Hall Ticket is a mandatory document to be brought to the exam center by candidates as it represents candidate’s identification. Latest Update : KCET 2019 Hall Ticket Released!! Download Hall Ticket from here: KCET Hall Ticket. It will be made available to only those candidates who will submit their application form successfully. The only way to get the KEA KCET Hall Ticket is online mode. So here we have mentioned the complete information to download the KCET Admit Card, exam date, steps, instructions etc. Follow the listed step by step procedure to download the KCET Hall Ticket. Follow the link i.e. kea.kar.nic.in to go to the official portal. Click on “CET-2019” link available on the home page. Search for the Karnataka CET-2019 Hall Ticket Download link and click on it. Enter your application no & date of birth and then submit it. The admit card will be displayed on your devise screen. Download it and take the 2 or more print-out of the admit card for future use. The KEA officials will not send the hard copy of the admit card to any candidates via post. So must download it before the examination. After downloading it, check all the information printed over it. In case if any mistake, contact to the authorities immediately. Must bring the admit card in the examination center, otherwise you will be not allowed to enter in the exam hall. Candidates are advised to keep the Karnataka KCET hall ticket safe until the admission is not completed. Read all the instructions printed on the admit card and adhere them. 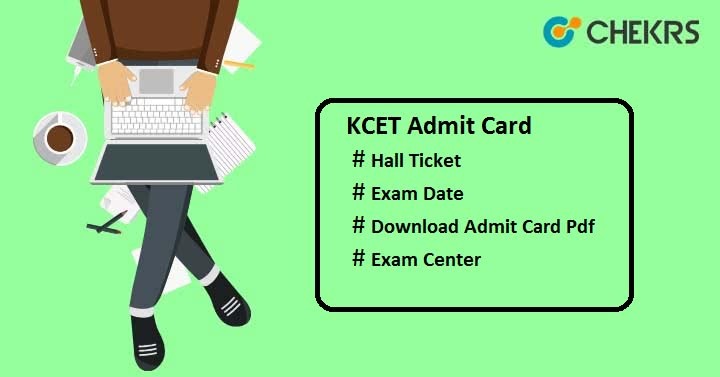 Even if you have any doubts related to KCET Admit Card 2019, you can drop your question in the below comment box. We will respond you soon. Good Luck!! !